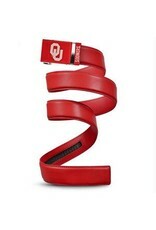 The officially licensed Oklahoma Sooners Belt from Mission Belt Co. features an imprinted team logo and team name on the buckle under a clear acrylic finish. Genuine leather strap with protective coating and the interior houses a special track which is part of the unique no-holes perfect fit system. 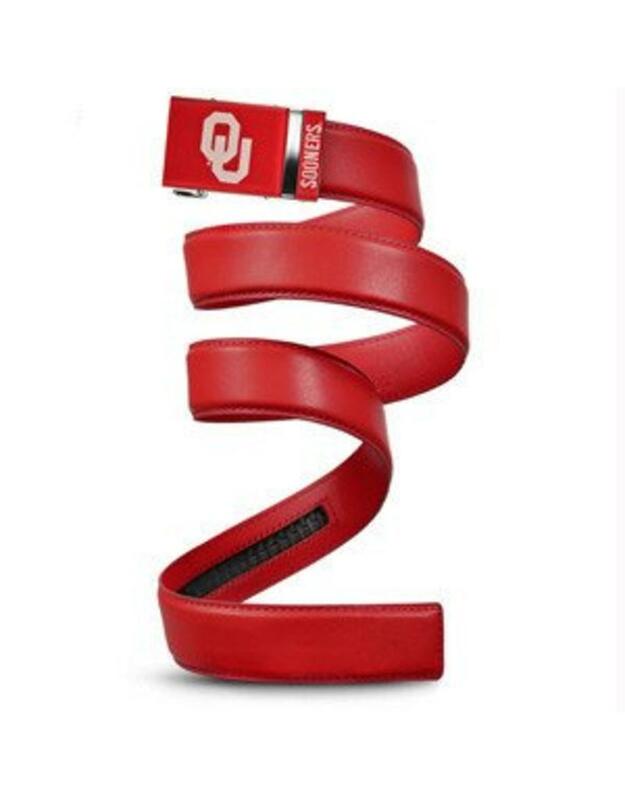 The buckle can be detached from the leather strap so you can always trim it down to size.